SIGNED PAPERBACK GIVEAWAY - 48 HOURS - I knew this book was going to be a hit so I bought an extra signed copy at the Philly book signing on Saturday. 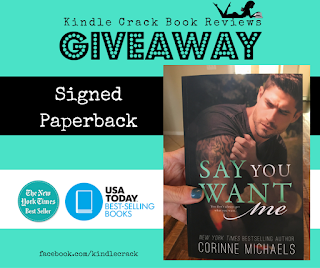 Say You Want Me by Corinne Michaels is #3 on the New York Times & #18 on USA Today’s Best Sellers lists! I LOVED THIS BOOK. 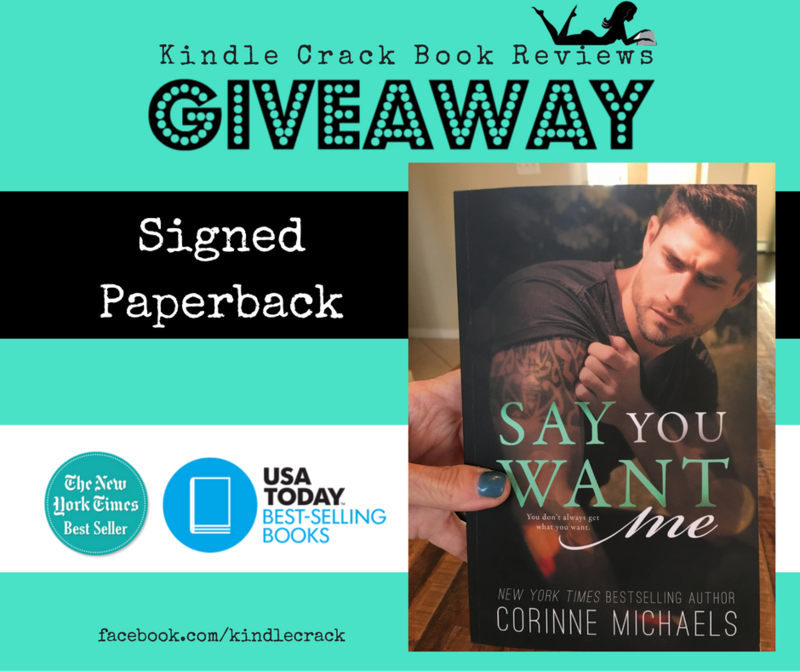 -LIKE THIS POST+ COMMENT and tell me if you have read any of Corinne's other books. -SHARE (totally optional) Sharing is caring! KCBR is responsible for this giveaway, and it is not sponsored, administered or endorsed by Facebook/Instagram. By participating in this giveaway, you also agree to release Facebook/Instagram of any responsibilities to it. Void where prohibited by law. Must be over 18 to enter. Giveaway ends in 48 hours! Open to U.S. residents only.